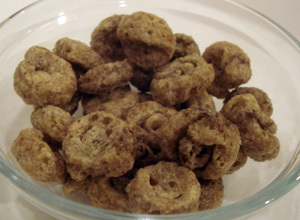 Cinnabon cereal has actually been around before, but as a different name. Kids of the 90s might remember it as Kellogg’s Cinnamon Buns cereal, which then rebranded as Mini-Swirlz which also had chocolate fudge and peanut butter flavors. 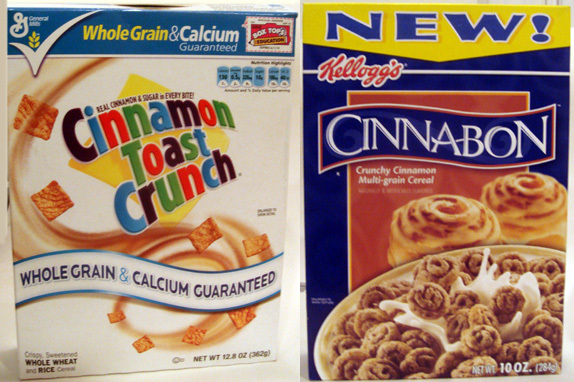 I really enjoy them both, but CTC is a classic that can’t be beat, and I’m with you on the hydrogenated oils. I also don’t feel they are directly comparable. I recently tried three sisters cinnamon sweets, they’re near exact to CTC. I love ctc! You know a cereal is good when its just as good straight out the box. I’ve never heard of Cinnabon, I’m not a kid of the 90’s(late 90’s, early 00’s). So anyways, today was my over 9000th (srcsm) day in a row of having CTC for breakfast. Note 2 self: Monday I need coffee and toast. We need some new material! Yes! I was just getting into this site! 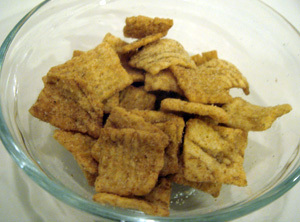 Whatever happened to French Toast Crunch cereal.. the cereal that looked like little slices of yellow french toast?